Indicates whether you are using the trial version or the registered version. Once installed, Social Booth is tied to that particular machine. In order to transfer the license to another machine, you will need to deauthorize it first. Note: If you forget to deauthorize, or no longer have access to the machine because of a crash or reformat, you will need to contact support to have it done manually. The currently installed version number. The currently released version number. 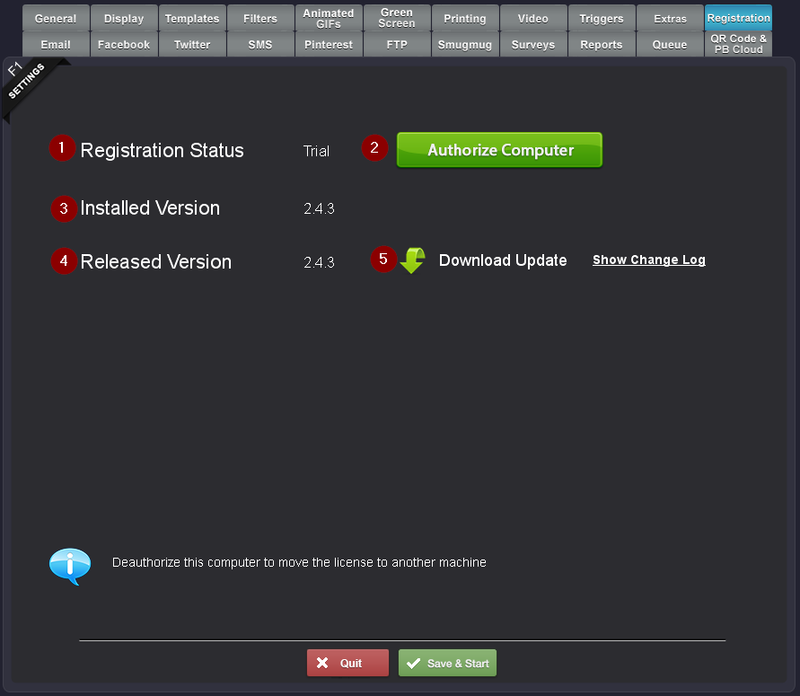 Note: When there is an update available, the download icon will show above the Registration tab.